Adirondack Lifestyle fresh snow yardstick measured at HQ, near Mount Van Hoevenberg in Lake Placid on January 13, 2011. 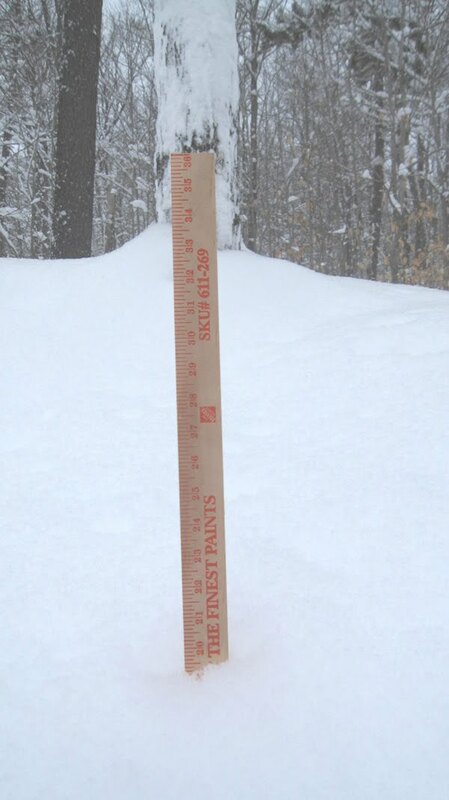 The big Nor'easter that exploded over New England yesterday left ~18 inches of fresh snow here at HQ in Lake Placid. And it is still snowing. 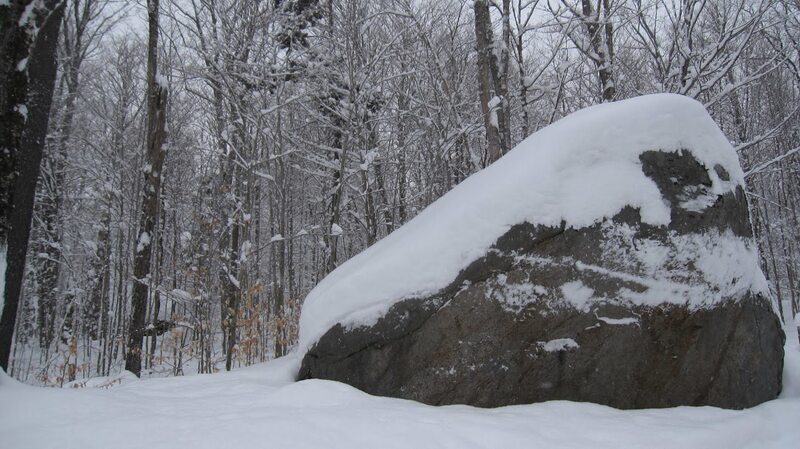 The meteorologists all missed the Adirondacks in the call on this one, but we'll take their loss. Skiing at Whiteface was superb yesterday during the storm. There were quite a few exhausted smiles evident during coffee breaks at mid-station.